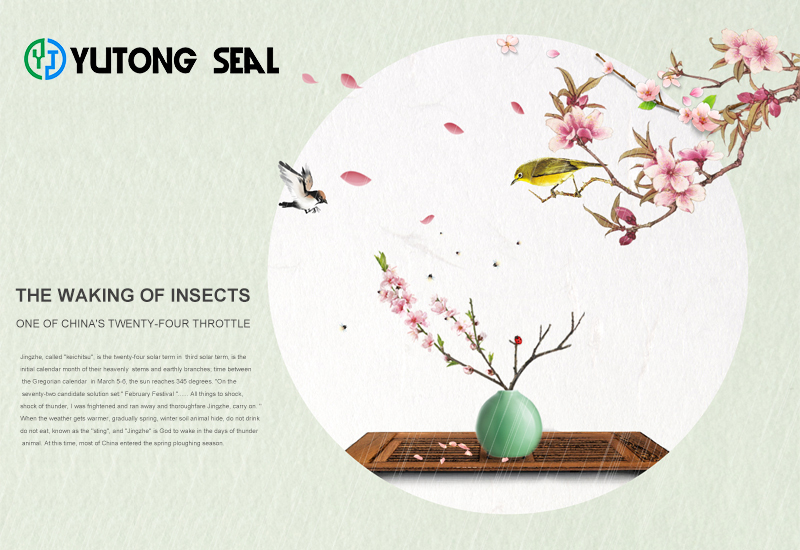 “jingzhe” means the awakening of hibernating insects. “惊” is to start and “蛰" means hibernating insects. Traditional Chinese folklore says that during the Waking of Insects, thunderstorms will wake up the hibernating insects, which implies that the weather is getting warmer. Jingzhezhe, ancient name "Kai Zhe" is the third lunar solar terms in the solar terms, marking the start of the mid-spring season; the sun reaches the Yellow Sutra 34.5 °. "The septuagenarian sectarian set solution": "February Festival ... ... everything out of the earthquake, the earthquake is thunder, so said Jing stunners, sting insect is running out of shock." This solar term has a very important meaning in busy farming. Since ancient times, the working people in our country have attached great importance to solar frighting and regarded it as the day when spring plowing began. Tang poetry goes: "The rain of fresh flowers, a thunderstorm start sting. Tian family a few days leisurely, cultivating since then." Farming proverbs also said: "After the Jingzhe Festival, spring can not rest," "Nine Yang flowers open, farm work together "North China winter wheat began to grow green, the soil is still freezing and thawing alternating, timely raking to reduce moisture evaporation is an important measure. "Jingzhe do not harrow, like steaming away gas", which is the local people valuable experience in drought control soil moisture. Along the south of the Yangtze River has been jointed wheat, rapeseed began to see the flowers, the water, fertilizer requirements are high, should be top-dressing, arid areas should be properly irrigated. Southern rain generally meet the needs of vegetable, wheat and green manure crops in spring growth, to prevent wet damage is the most important.